When Peter Hahn approached us hoping to find an importer for the Vouvray he produced from his newly-acquired estate, “Le Clos de la Meslerie”, we were impressed by the elegance that this novice vigneron had coaxed from his scant 4 hectares of Chenin Blanc. Even more compelling, his Vouvray captured the unique terroir of its site overlooking the village of Vernou-sur-Brenne, located directly east of the village of Vouvray yet still situated within the appellation. This provides an instructive contrast to the Vouvrays produced by the master Philippe Foreau, our long-time source (30+ years) of this oft-misunderstood and under-appreciated appellation. The Clos de la Meslerie has a winemaking history that dates back to the eighteenth century, but when Peter Hahn acquired the estate in 2002, no wine had been bottled there for many years and it was in a sad state of disrepair. Peter diligently began renovating the dilapidated chateau and chai (wine cellar), and earned his oenology certificate while waiting for the existing sharecropping agreements on his land to expire. He regained control in 2007 and undertook the herculean task of revitalizing his poorly-tended vineyards. Peter’s care and patience were rewarded with an excellent first vintage in 2008, which received praise on both sides of the Atlantic for its freshness, balance and complex expression of fruits and minerals. Peter is a passionate practitioner of “natural” winemaking techniques, using organic and biodynamic practices in the vineyards, managing vine and grape growth manually, picking by hand and, most remarkably, using a meticulously restored decades-old basket press which extracts only “first-run” juice from his grapes. The result of this precision and dedication is wine of the very highest quality, true to its appellation and distinctive in its character, which we expect to become even more profound as he hones his craft over the coming years and his vineyards flourish under his strict organic regime. Vouvray Clos de la Meslerie: Peter Hahn produces just one wine from his estate which, in its breadth and clarity, expresses the specific ‘terroir’ of the Clos de la Meslerie – effectively a single vineyard wine with a marked identity. As such, Peter declines to categorize his wines as Sec, Demi-Sec or Moelleux, in the belief that the critical definition is provided by the “Clos” which, over time, will declare its character. Over the past few years, the vineyard has tended to produce a wine that falls within the “Demi-Sec” category with residual sugar levels falling somewhere between 15 and 30 grams (chaptalisation is never practiced!). Harvest from the mix of 20 to 60 year old vines proceeds over several weeks in a series of “tries”. Only natural yeasts are used in fermentation and the wine is barrel-aged for twelve to eighteen months. Production varies between 4000 and 7000 bottles per annum. In classic fashion for fine Vouvray, the wines from the Clos de la Meslerie are excellent performers at the table, with a brisk acidity providing exquisite balance to the hum of delicately sweet fruit on the palate. Certified Organic. Do you do field work and harvest manually? By machine? By horse? Native grasses planted between the rows to add to a self-sufficient ecosystem and inhibit erosion. Soil turned twice a year by horse and plough and tractor. How do you fertilize? Leaf-thinning by hand of each vine to allow each bunch greater exposure to sunlight and keeping the bunches ventilated thereby reducing disease. Bunch-thinning by hand where necessary to eliminate any bunches affected by sour rot or bunches ripening unevenly. Hand-picked grapes – at harvest time rigorous selection in the vineyard choosing only the ripest, healthiest bunches – leaving the rest on the ground to nourish the vineyard Grapes are picked at the coolest hours of the harvesting day and put in small baskets and brought to the press quickly (within an hour of picking). PLEASE DESCRIBE THIS FINISHED WINE FROM THIS VINTAGE. HOW DOES IT COMPARE TO PREVIOUS VINTAGES? See vintage description attached. The 2013 is the driest wine we have produced to date. Peter Hahn is making some of the most dynamic, complex, and satisfying Vouvray in the entire appellation today. An American by birth, Peter acquired the four-hectare Clos de la Meslerie in the commune of Vernou-sur-Brenne in 2002, and rehabilitated it through fastidious organic viticultural work the estate’s old vines of Chenin Blanc, producing his first wine with the 2007 vintage. Peter works in a proudly and thoughtfully low-tech manner, still using the temperamental 80-year-old basket press that came with the estate, which feeds by gravity into the modest barrel cellar below. He adds nothing to the wines except a homeopathic dose of sulfur, and, in notable contrast to the majority of Vouvray domaines, he produces but one wine per vintage—which, depending on the character of the growing season and the ensuing fermentation, can end up anywhere from nearly bone-dry to moelleux-level-sweet. Peter’s star has been on the rise as of late, as his deeply personal wines have garnered him lots of attention both within France and abroad. In celebration of the recent arrival of the magisterial 2015 Vouvray—our eighth vintage together—Rosenthal Wine Merchant’s Clarke Boehling recently interviewed Peter via email. Below the interview, you will find a run-down of the four superb vintages currently on hand, each of which sheds a unique light on the fascinating terroir of the Clos de la Meslerie. Peter produces a mere 400 to 600 cases of wine per year, and we consider ourselves extremely fortunate to work with such a passionate and fiercely intelligent vigneron. Clarke Boehling: For a Vouvray vigneron, your origins are fairly unorthodox. Could you discuss your early experiences with installing yourself in such a storied appellation? How were you received and treated by others? How do you feel your status as an “outsider” affected (and/or continues to affect) your approach to your work at Clos de la Meslerie? Peter Hahn: It’s true that I must be the first American making wine in Vouvray! I have to say, though, that overall the welcome was generous. It helped tremendously, I think, that when I purchased the vineyard the vines had been rented to another winemaker, as the previous one had died years before. The lease still had five years to run, so although I bought in 2002 I couldn’t actually take the vines back until 2007. This gave me time to enroll for a degree in Viticulture and Enology at the local lycée agricole [agriculture school]. 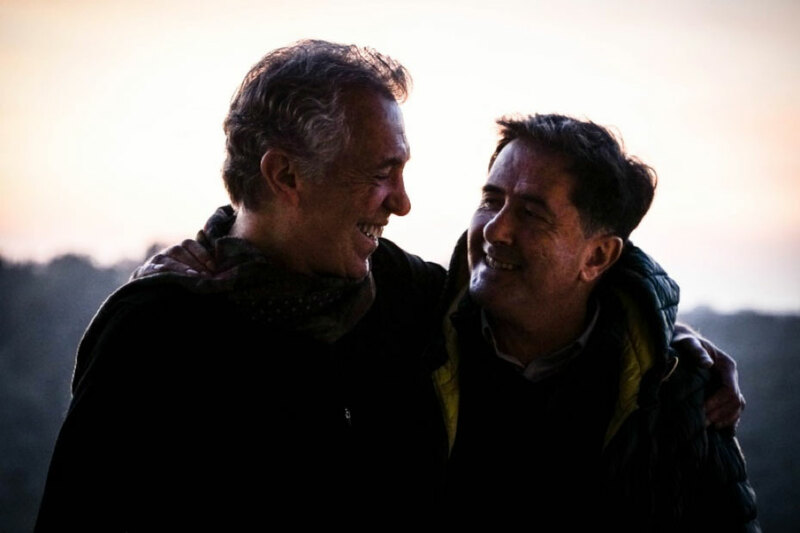 It was there that I met the winemakers (who were my teachers) who would become my mentors and close friends, Vincent Carême and Damien Delecheneau. Knowing them helped tremendously in terms of being introduced into the winemaking scene in the region. A great advantage for me, I think, is that I came to this project tabula rasa [as a “blank slate”]. As not only an outsider in terms of coming from another country but also from a completely unrelated profession, I had no preconceived notions about winemaking. This allowed me to take a fresh look at how things were being done in Vouvray. When I arrived in Vouvray, pretty much nobody else was making what today is considered “natural” wine—especially in terms of extremely low-intervention, homeopathic treatment for the vineyards, very low sulfites, etc. I also couldn’t understand why 90% of the appellation was making uninteresting, mass-produced wine, most of it unpalatable bubbly. Clarke Boehling: We know that you are close with Damien Delecheneau of La Grange Tiphaine. In what ways has Damien helped you, and how has he influenced your approach to viticulture, vinification, and aging? Who are some of your other mentors and/or influences in the appellation, and how have they helped you along the way? Peter Hahn: In fact, both Damien and Vincent Carême in Vouvray were mentors. They continue to be not only good friends (I am the godfather of Vincent’s second son) but also extremely useful sounding boards and sources of winemaking wisdom. 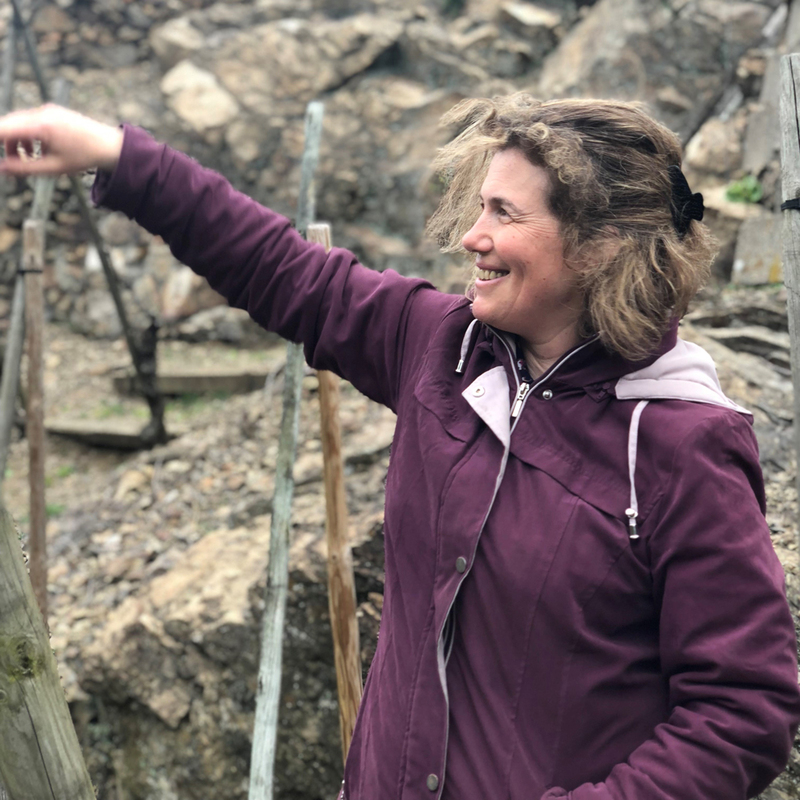 They were among the pioneers of organic and biodynamic farming in the area, and they continue to be leaders in pushing this approach in the appellations. They were a tremendous help in terms of my learning how to cultivate organically. They also barrel-age most of their wines, and I was easily converted to this approach. If you have flawless juice, the concentration and complexity obtained from fermentation and ageing in the barrels is unbeatable. CB: As a self-described producer of natural wines, what does the term mean to you? PH: There is much debate around this! For me it is all about low intervention. It is about letting nature play the biggest role, center stage, and not trying to control nature at every step, which is what so much modern winemaking is about. Clearly farming without herbicides, pesticides, and chemical fertilizer is essential. But it goes beyond this. You can be certified organic in Europe and there are over thirty additives you are still authorized to use, including lactic and tartaric acid, sugar, nitrogen, a dozen different fining agents, yeasts, and others. In the vineyard, you can use hormone capsules to fight insects, select the type of grass you want to plant between the rows, etc. We don’t do any of the above. We let the wine “make itself”: indigenous yeasts, wild undergrowth in the vines, etc. The sole fungicide authorized in organic farming, copper, is permitted to be used extensively; we use about a third of the allowed dose, likewise for sulfur. The fact that we press the grapes with a manual press is probably taking “natural” to the extreme… For me, there are two reasons for being as “natural” as possible: it is more ecologically friendly, and it is the only way to get a true expression of the terroir. The more interventions there are, the more standardized the wine becomes. CB: How would you characterize the particularities of the Clos de la Meslerie compared to other sections of Vouvray as regards soil type, ripening, and the overall character of the wines? CB: You use barrels for fermentation and elevage. Where did the barrels come from? How frequently do you (or do you plan to) replace them? And what is distinctive about the way barrels affect Chenin Blanc compared to, say, stainless steel? PH: Our original barrels were a mix of second-hand barrels that had seen one wine and were reconditioned in Bordeaux, and barrels that had seen one wine from a domaine in Chassagne-Montrachet in Burgundy. If you take extremely good care of your barrels and are diligent about cleanliness, they will last for decades. We do replace barrels occasionally and have added some new ones made by Atelier Centre France, which is not far from us. They have an option called “chauffe blonde” where the barrels are not toasted with flame but rather with steam, so you avoid the strong oaky flavors that can mask the terroir. My view is that barrel-fermenting and ageing on the lees adds concentration and complexity to the wines. It makes them three-dimensional rather than two-dimensional. I find that barrel-aged Vouvrays exhibit much more of the classic “quince/pear/ripe apple” trio than do steel-made wines, and have an added roundness or “gras” as the French say. 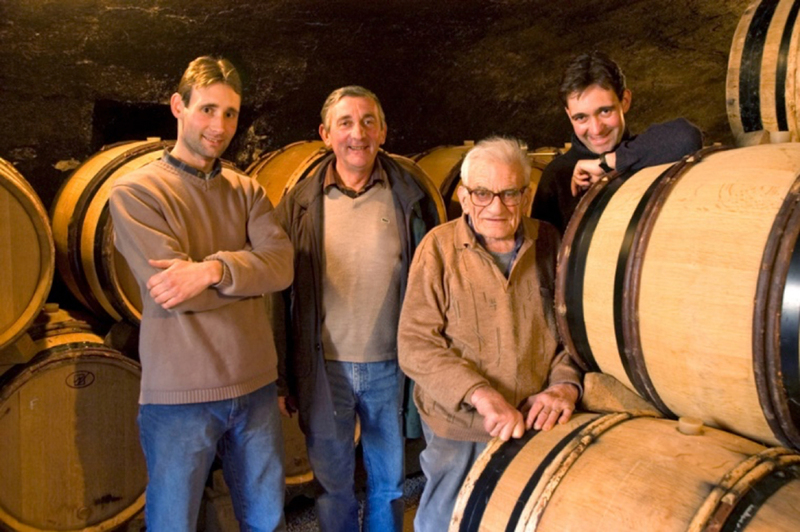 CB: Clos de la Meslerie is certainly a family affair. Can you talk a bit about the contributions made by the rest of your team? PH: My wife Juliette is a key player on the team! She helps a great deal, specifically around harvest time (she and I are on the manual press) and in terms of filling orders (labelling, boxing, etc.). My kids are growing up fast, so I get them to help whenever they can. My son is 15 and helps me do some of the tractor work. What could be more fun at 15 than driving a tractor?! CB: What has been the biggest challenge of your winegrowing career thus far? PH: Initially the biggest challenge was building a client base. It’s enough of a project to grow great grapes and make good wine, but then you have to sell it! Because I do so much of the vineyard and winery work myself, finding the time and energy to develop the commercial side was a challenge. We now have good client base and this is less of an issue. Another challenge, perhaps less specific but maybe more pertinent, was to unlearn what I had learned and undo the preconceptions I had about winemaking. In winemaking classes, one is taught “modern” winemaking, with all the possible interventions and the justifications for these interventions. 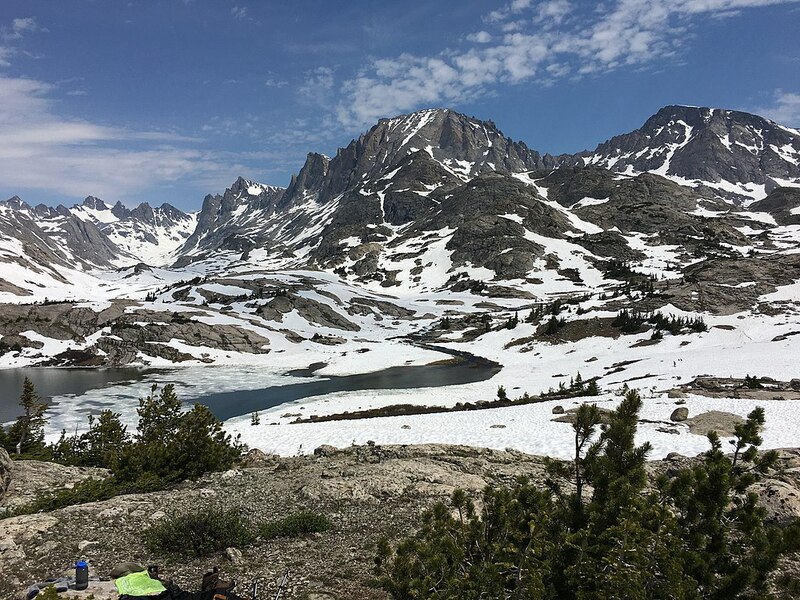 To try to stand back and trust nature takes some courage and discipline! CB: How do you see your work at Clos de la Meslerie evolving over the next, say, decade or so? Do you have any particular goals as far as the direction of the wines, your distribution outreach, and/or your overall recognition? Do you foresee an expansion of your operations in any regard? 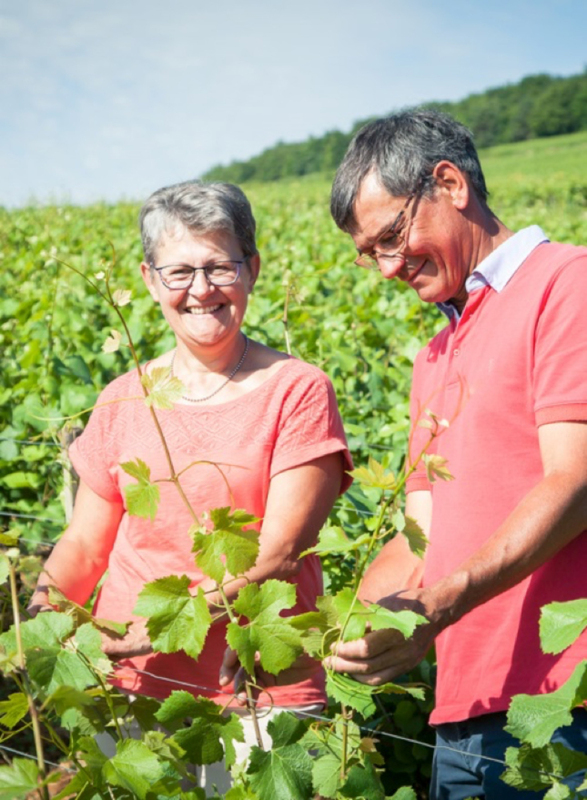 PH: Because the business side is going well, we are currently looking for a little bit more acreage, perhaps an additional hectare, but this is difficult to find in Vouvray. We don’t want to get much bigger because we really want to continue making wine the hand-made way, as artisans, and the bigger you get the more difficult that is to do. As you know, we have been experimenting with making sparkling wine and have been really pleased with the results, as have our customers. Juliette and I both love bubbly, so I think we’ll be making more of this over the coming years. The physicality of the manual press and the limitations in terms of speed can be problematic when you need to harvest with some urgency, so we actually purchased a small pneumatic press last summer and will use this as a back-up—a small move towards hi-tech at la Meslerie! By its measurements (65 grams per liter of residual sugar), the 2015 Clos de la Meslerie is a moelleux; however, given its rapier-like acidity, it scans on the palate as a particularly dense demi-sec. Whichever way one cares to classify it, it is a tour de force—the most awe-inspiring wine Peter has yet produced. The pineapple and quince are dialed up to the max here, but there is an underlying refinement and prettiness, and the exuberant, fruit-packed nose still manages to deliver a mineral depth-charge of immense impact. The palate crackles with electricity, such is the kinetic interplay of acid and sweetness, and one could be forgiven for guessing the level of residual sugar to be a third of what the measurements read. To craft a wine this rich that still speaks with precision and detail—and that is so straightforwardly easy to imbibe—is no mean feat. From the coolest, most sun-starved growing season of the four we currently have on hand, this 2013 is a Sec in the true sense of the term, carrying a scant four grams per liter of residual sugar which is completely engulfed by the wine’s assertive acidity. This is an unmediated journey into the mother rock which lies beneath Clos de la Meslerie, absent any exotic orchard-fruit fireworks or caressing lusciousness. Still, it stops well short of severity and is compulsively drinkable in its salty, steely way. For those who like their Chenin Blanc sleek, dry, and uncompromising, this 2013 is a thrill ride. 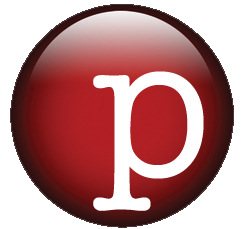 Of the four vintages on offer, Peter’s 2009 is the most classically “Moelleux”—reveling in its voluptuousness and embodying in its rosy-cheeked ampleness the warm, healthy growing season that birthed it. 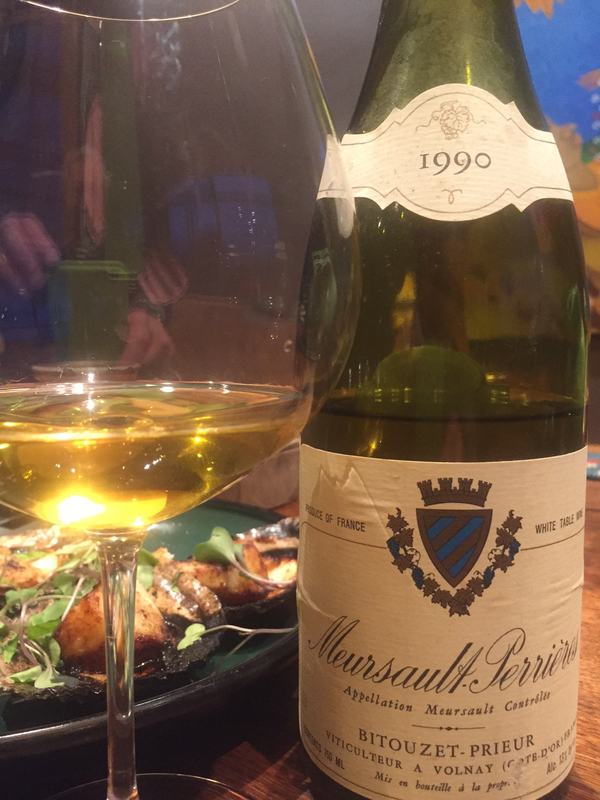 Still, both bottle age and the distinctive terroir of Meslerie have lent a profound, smoky character to the wine, which complicates the prominent beeswax and Bosc pear notes and makes for a riveting drinking experience. With 32 grams per liter of residual sugar and a formidable core of acidity and minerality, the 2009 will make old bones indeed. Furthermore, it is the most rewarding glimpse in our current lineup into the aging potential of Peter’s wines.